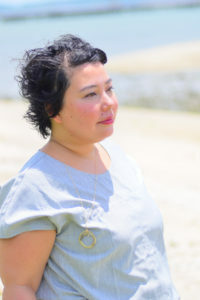 Born to a traditional family in Japan, Tokiwa Kida began learning Japanese old Shintoism by her mother-side grandmother from the clan of Shinto shrine when she was 3 years old. Her father side was a clan of scholars of language from 18th Century. She has learned the wisdom and the mystery of Japanese Language and old Shintoism from very young age. She was interested in old lunar calendar of Japan which her grandmother usually used. Then she got interested in “Calenders out of Anno Domini”such as Chinese traditional calendar, 13 Moon Calendar, Okinawan old lunar calendar and so on. She realized her talent of clairvoyance when she was 6 years old. However, needless to say,most of elementary school friends/teachers/even family members couldn’t understand or believe her. So she stopped to use that gift. That brought a big change to her life. She accepted the calling as a Neo-shaman since then. Now Tokiwa is located in Okinawa, Japan to work as a neo-shaman of Galaxy timing.